I had a craving for a Shrimp Primavera today. I went with a simple pepper, mushroom and onion combination. Super tasty; I perhaps could have seasoned it a bit more but the flavors of each ingredient came through nicely as I made it. In skillet heat about 1 Tbs olive oil. 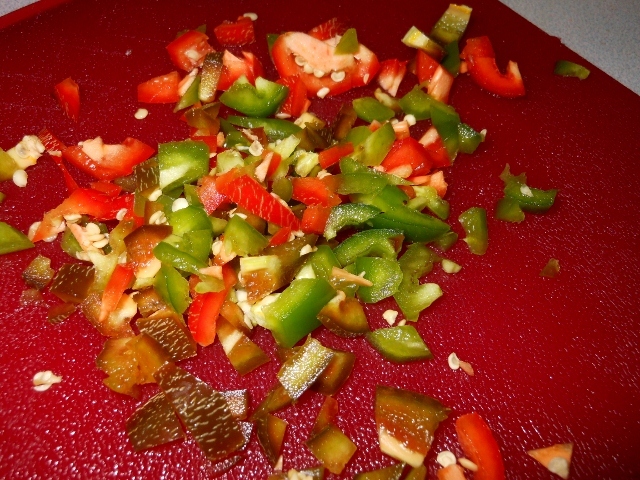 Cut pepper, onion, jalapeno and mushrooms into chunks. Saute about 5 minutes until desired tenderness. Remove from skillet and set aside. In same skillet heat a little more olive oil. 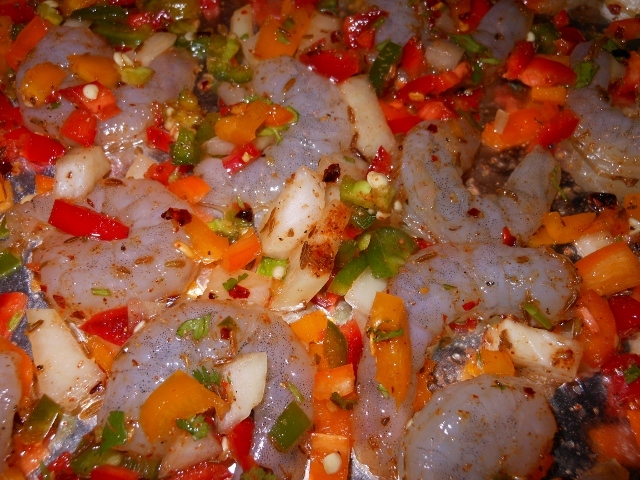 Add shrimp; season with salt and pepper and cook until shrimp is cooked though about 5 minutes depending on size of shrimp. Return veggies to pan and stir in tomato, garlic, basil and reserved pasta water. 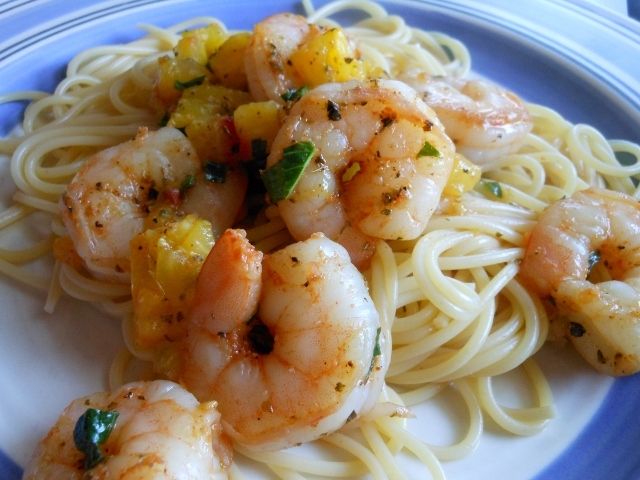 Toss with pasta and serve with parmesan cheese. Thought I would try out a new combination today. I really liked the dill with the goat cheese; at first bite I was afraid it was to dilly but as I continued eating it became more and more addictingly delicious. Cook pasta according to package directions. 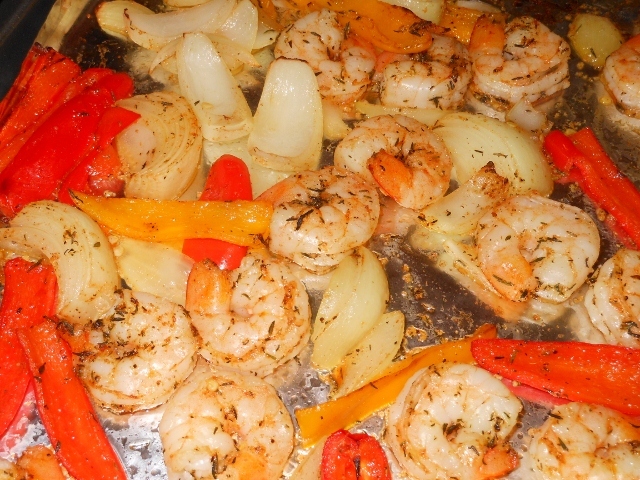 In skillet heat olive oil; add seafood and season with cayenne, salt, and pepper. Cook until seafood is just cooked through; about 6 minutes for medium size pieces. Remove from heat, stir in lime juice, half of the goat cheese, and dill. Serve over pasta and sprinkle with remaining goat cheese. We made some batter fried shrimp and scallops tonight with a tempura batter. Very nice texture; light and fluffy yet crispy. This is an unseasoned version; perhaps next time we will zip it up a bit although like it is allows the dipping sauce to really shine. Quick and easy to do. We used a small strainer basket to allow us to handle a few pieces at a time instead of having to work one by one. A little messy but much quicker that way. 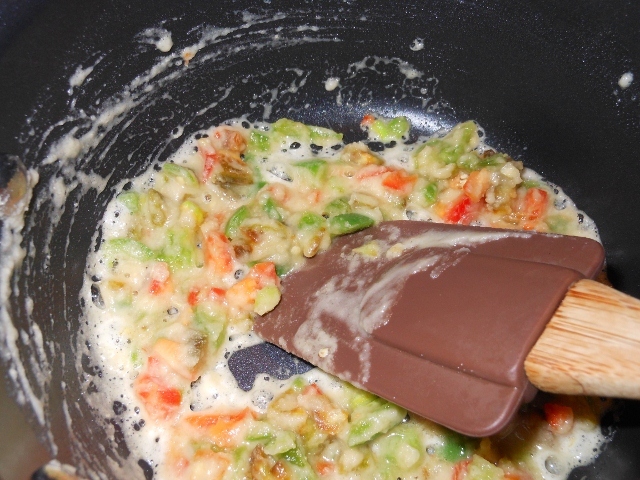 Begin by setting aside some flour to dredge the seafood. In bowl mix together egg and icy water. Stir in 1 1/2 cups flour just before frying. First heat oil over medium high heat. Dip seafood in flour, sift then toss in batter. We used a strainer basket to work with a few pieces at a time then gently place in hot oil. Fry about 3 minutes or until lightly golden and cooked through. We served ours with some red hot sauce but cocktail sauce would be great too. 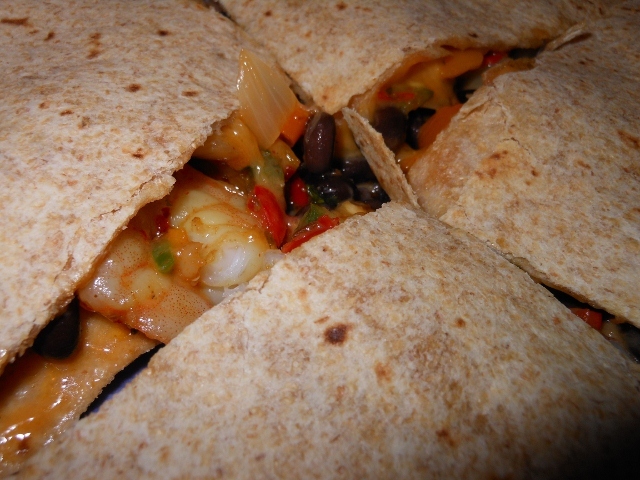 I loved that broiled shrimp so much that I thought I’d use the technique for my quesadillas tonight. Super yummy! Will definitely make these again. I used whole wheat tortillas, cheddar cheese, and added some black beans too. Fix with your favorite ingredients and toppings. These were pretty spicy so I just served with some sour cream and salsa (I would have had avocados too but they looked terrible at the store today). Combine all ingredients. Spread evenly on oiled cookie sheet. 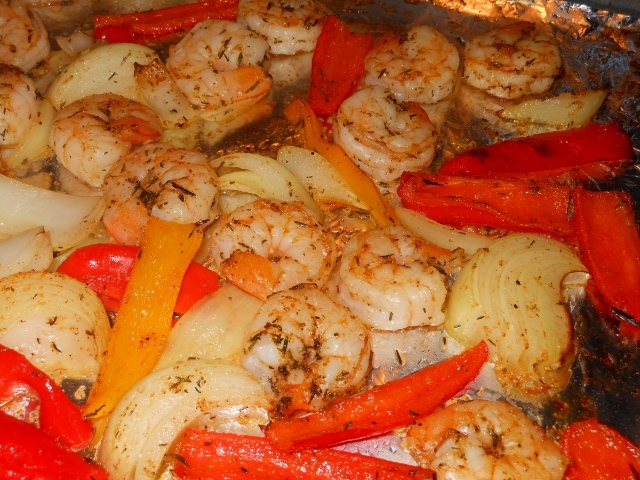 Broil 3 – 4 inches from heat for about 8 – 10 minutes until shrimp is cooked through. 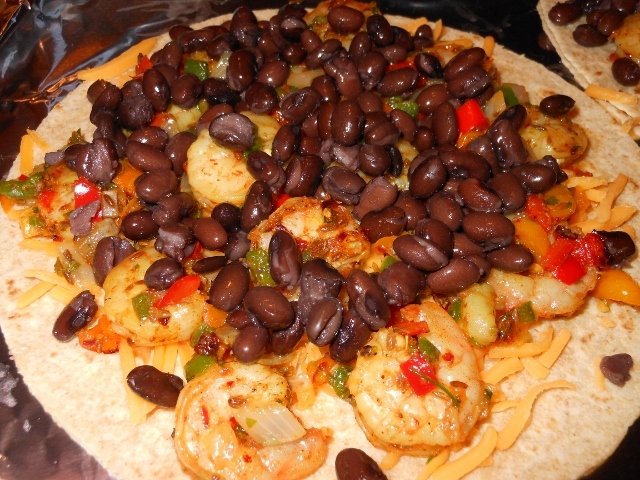 Layer each tortilla with cheese, shrimp mixture, and black beans. 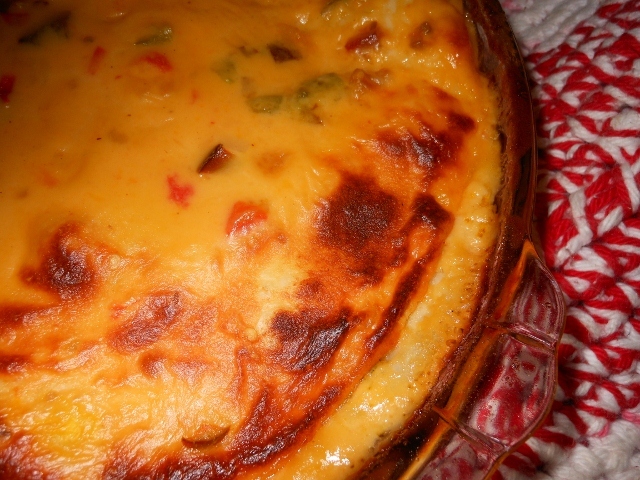 Top with additional cheese and another tortilla. Bake at 400 degrees for about 10 minutes or broil or 3 – 4 minutes each side. I thought I would broil my shrimp today; I don’t think I’d broiled shrimp quite this way before. I’ve always fired up the grill or used a skillet so this was a new technique for me. I have to say it is super easy; I think I should have been using the broiler sooner! This would make a great fajita if seasoned with some taco seasoning; it was delicious as I seasoned it today with some pasta! 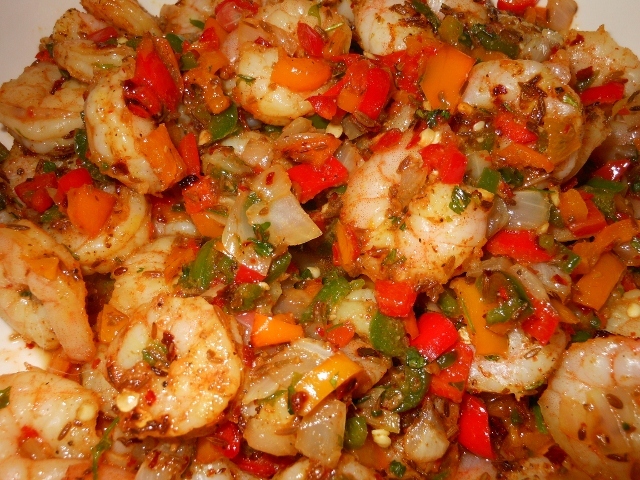 Peel shrimp; cut onions and peppers into wedges or chunks. Add all ingredients into bowl and stir or toss to coat. Spread in single layer on oiled cookie sheet and broil 3 – 4 inches from broiler for about 5 minutes; stir around and flip pieces over if desired move rack up a notch and broil another 3 – 5 minutes until shrimp is cooked through and edges of veggies are starting to brown. I tried another crock pot recipe; this came out fairly well, but I felt it had a very slight tinny taste to it. I’ve since read that the metallic taste sometimes occurs when cooking tomatoes for long periods of time. Some folks suggest adding a little more sugar or some lemon juice to counteract this effect. I did add sugar to my leftovers and it seemed to take care of it. It seems that it isn’t harmful it’s just a taste and it can’t clearly be predicted; it most likely has to do with the acidity of the canned tomatoes. If it wasn’t the fault of the acid it was from my crock pot heating more than necessary; to be honest it is a relatively old crock pot so I will definitely try this again once I purchase a new one. 1 can whole tomatoes ~ 28 o.z. 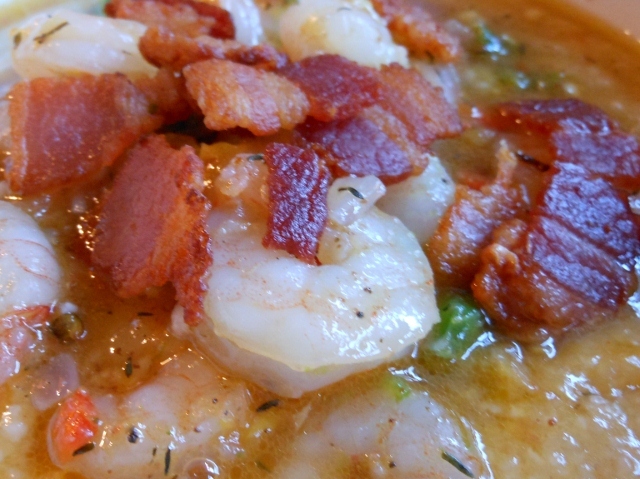 Just a quick post today for some wonderful shrimp and grits I made for dinner. 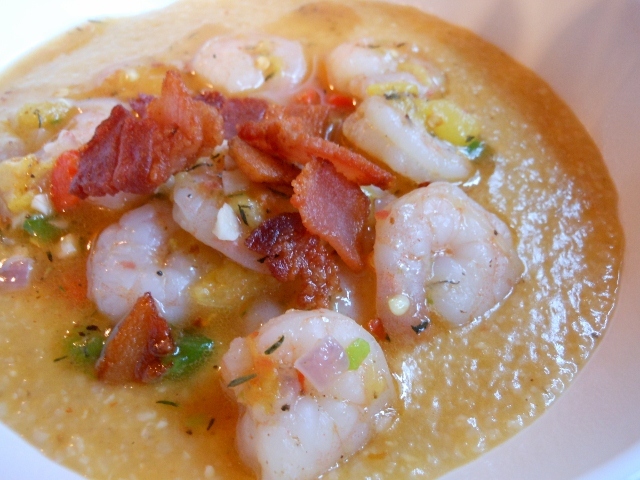 A lady I used to work with showed me how to make some tasty shrimp and grits so I thought I would give it a try on my own. I really enjoyed my version and I think Charles did too ~ will definately be making this again soon. Bring chicken stock to a boil in small sauce pan. 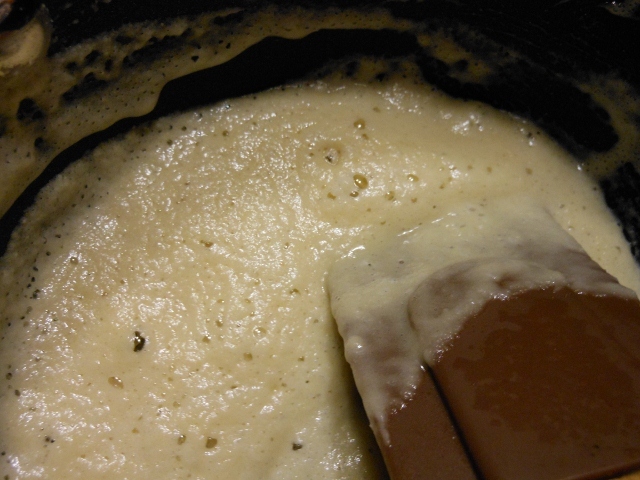 Stir in grits and reduce heat to low; cover and simmer for about 12 minutes or until mostly thickened. Stir in cheddar cheese and salt. Meanwhile cook bacon until desired crispness. Set bacon aside to drain on paper towels and reserve bacon grease in skillet returning to heat; add jalapeno and onion to hot bacon grease and sauté for about 2 minutes . 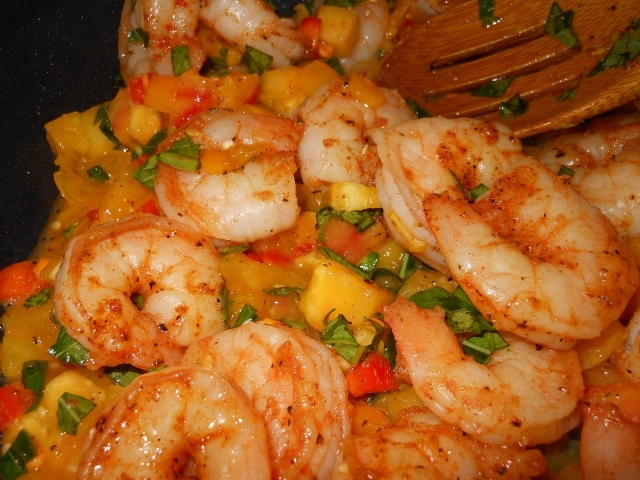 Add shrimp and cook for about 5 minutes or until cooked though. Stir in garlic; remove from heat and stir in crushed tomato. Add thyme and season with salt and pepper to taste. 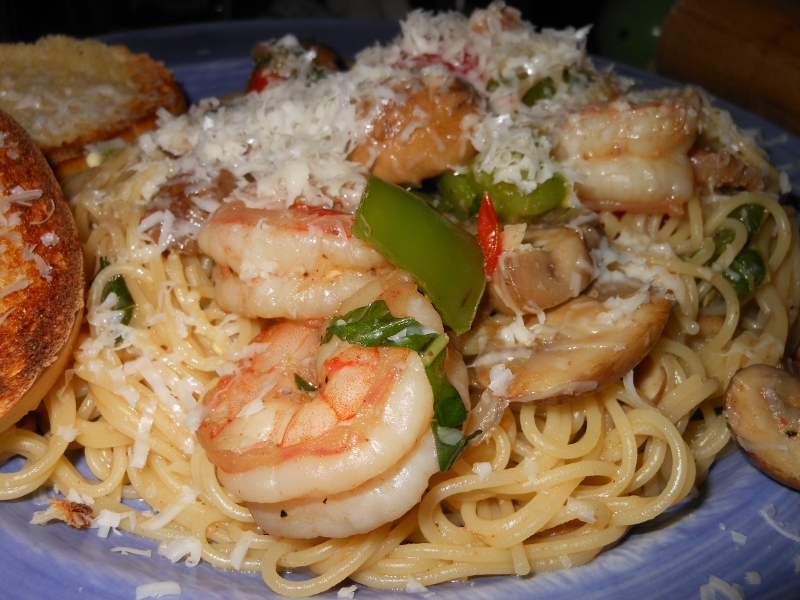 I have made a couple of different shrimp and pasta dishes, but this one was exceptionally delicious. I think the marjoram really brought it to a new level. I seasoned my shrimp with paprika, cayenne, garlic, black pepper and salt. Simply just salt and pepper will do the trick though if you prefer to keep it a little on the milder side. Cook pasta according to package directions until desired tenderness. Meanwhile in skillet heat oil over medium high heat. 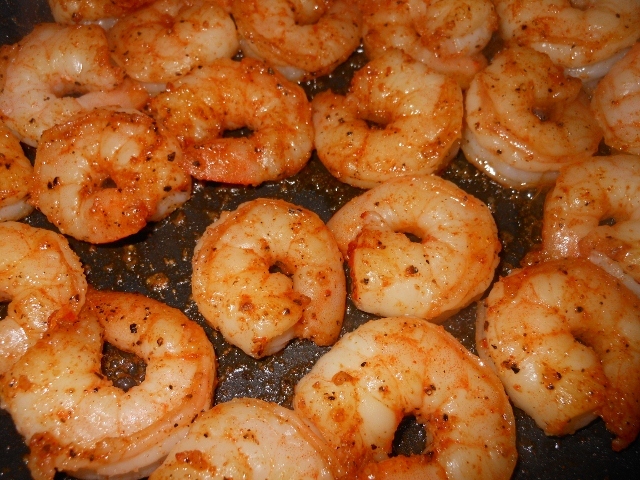 Season shrimp as desired with salt and pepper; add paprika, garlic and cayenne if desired. Saute about 5 minutes or until finished. Add tomato, basil, pepper, and marjoram. Cook an additional 2 – 3 minutes until heated through. Serve over cooked pasta. Sprinkle with goat cheese or parmesan if desired. 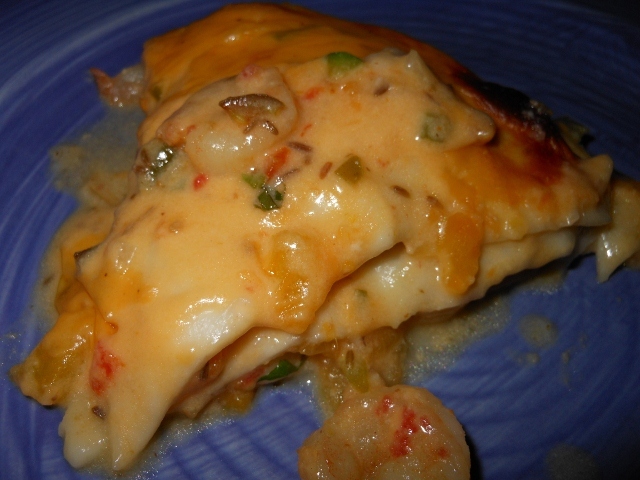 Just a quick post for the delicious cheesy shrimp and tortilla pie I made for dinner. I almost made enchiladas but I saw my pie pan and thought it would be a nice way to build dinner. I used 3 tortilla shells and made a homemade cheese sauce and salsa. I am sure if you have a favorite salsa or cheese sauce you can use those instead. I am also sure chicken or beef would be delicious but I wanted seafood tonight! 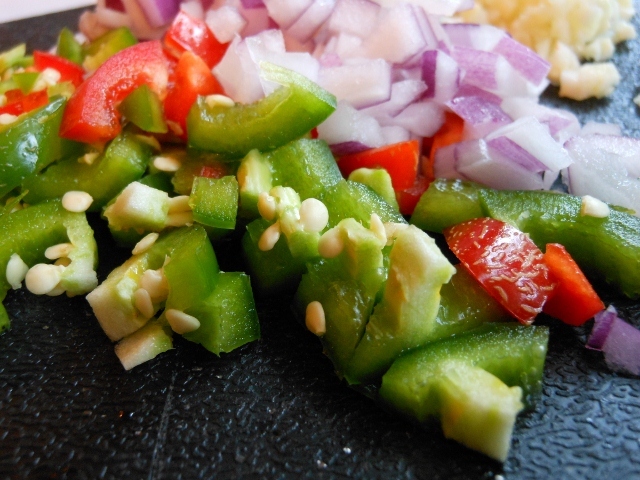 For salsa mix together all ingredients and set aside. To make cheese sauce melt butter in sauce pan. Add flour and stir cooking for one minute. Cook over medium low for about 5 minutes stirring often. Add milk and increase heat to medium. Cook for about 5 minutes or until beginning to heat through stirring occasionally. Increase heat stirring constantly until bubbly. 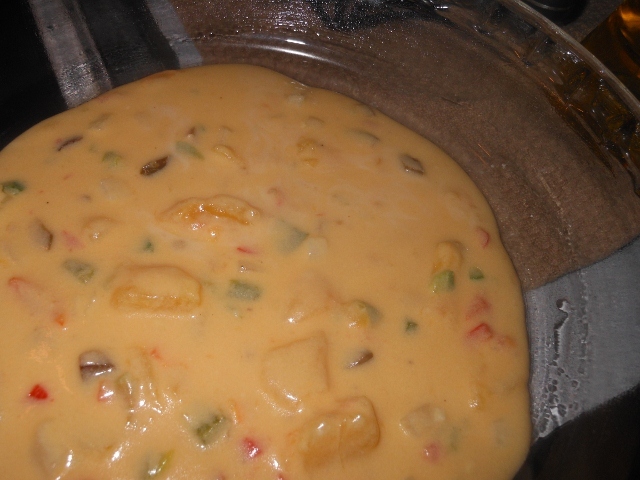 Once thickened reduce heat begin stirring in cheese a little at a time until melted. Stir in about 1/2 cup of homemade fresh salsa. 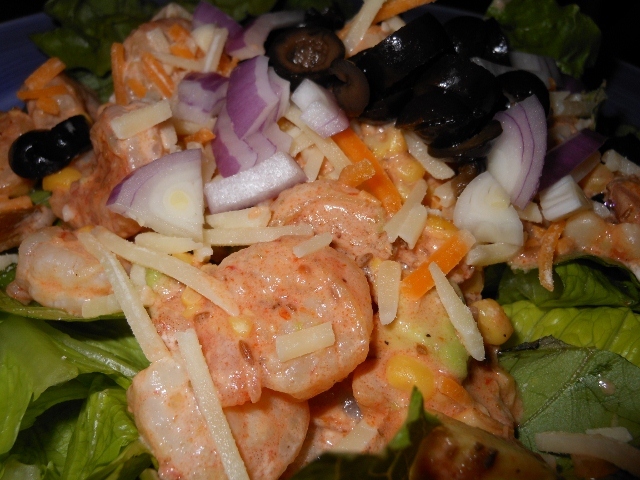 For shrimp ~ Cook shrimp and all seasonings until shrimp is no longer pink; drain if needed. To build pie place about 1/2 cup cheese sauce in bottom of oiled pie pan. Top with burrito size tortilla shell. 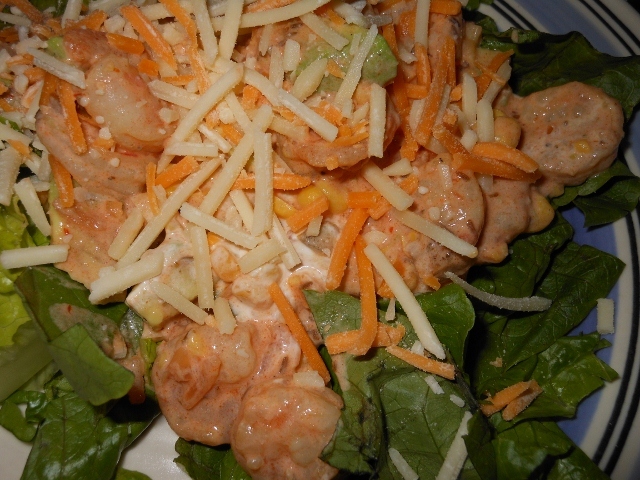 Layer 1/2 of the shrimp, 1/2 cup cheese sauce, and 1/2 of the salsa. Top with another shell. Repeat layer leaving a little cheese sauce for top layer. Add one more shell and remaining cheese sauce. Bake at 400 degrees for 30 minutes. Allow to rest about 5 minutes before cutting into.